Plus, there is about a half a pound of sugar. This cake is incredibly rich. 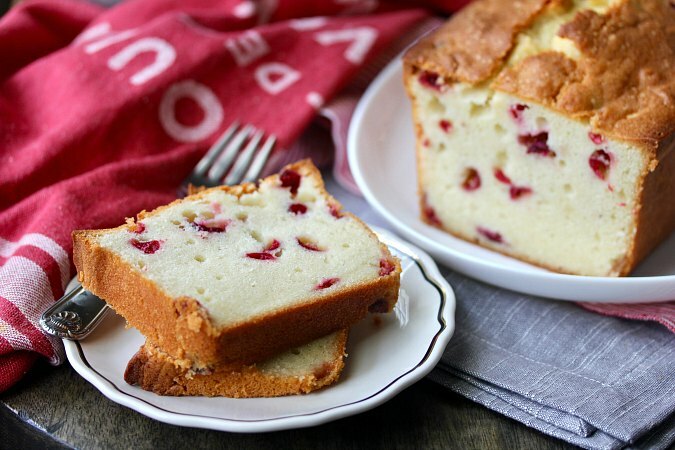 One of my favorite techniques in this recipe is the method for adding the cranberries. You chop the cranberries and then toss them with a small amount of powdered sugar. 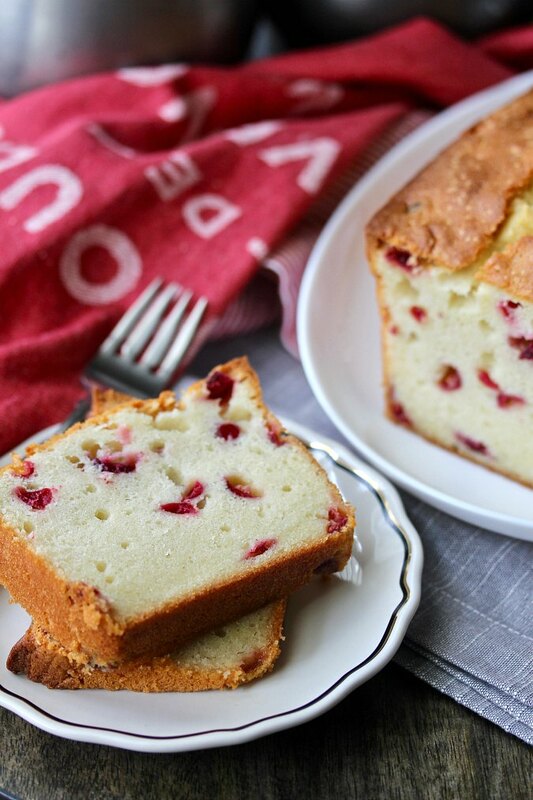 This method reduces the sourness of the cranberries, and prevents them from rising to the top of the cake. After all, cranberries are full of air! This cake actually takes about 2 hours to bake in a 300 degree F oven. It's really weird to watch as the cake bakes. The sides rise up first, and then the middle finally rises up later. This cake stays fresh for days. Even if it gets stale (after 4 days possibly), you can still slice and toast it for breakfast. I took the leftovers to work and they were quickly devoured. The recipe for this cake is from America's Test Kitchen's book, The Perfect Cake. The Cake Slice Bakers are spending this year baking cakes and reviewing the recipes from the book. I joined because I rarely bake cakes, mostly because they are a challenge for me. Baking one cake each month has been great for flexing new baking muscles, and my colleagues at work really appreciate it. We don't have permission to share the recipe, however, it is available here. Check out the rest of the Cake Slice Bakers' posts for this month. I also have an Amazon store you can visit to see my recommendations. I do receive a small commission if you buy something. It helps support my cookbook habit. There you go! you NEED to make this! What a pretty loaf! Love when they bake up with the pretty crack down the middle! Yours looks so nice and soft! Elegant crumb on your cake Karen! I thought the cranberries/ powdered sugar technique was pretty cool, too. Thanks!! Fun how we all made the same cake. Great minds. I can see why this was a popular choice this month. 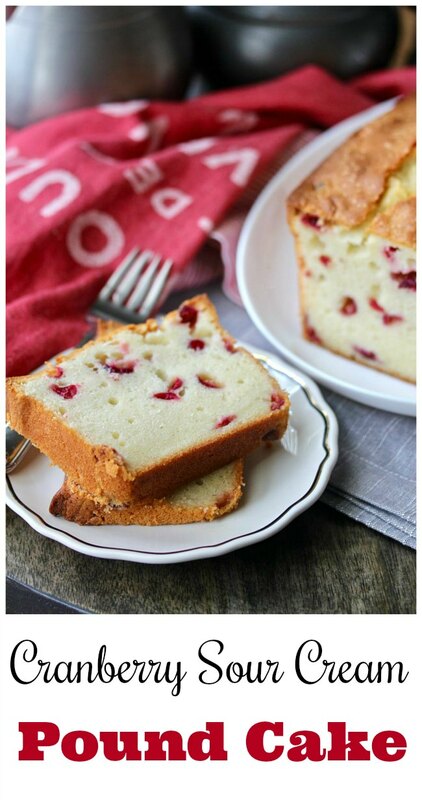 Definitely adding it to my holiday baking schedule as I am a huge fan of cranberries. Such a lovely cake and beautiful photos as always. This looks delicious, Karen! Beautiful photos, and after seeing everyone's versions of this cake I really want to make it!